Holy Cross Orthodox Mission Parish is a local parish of the Antiochian Orthodox Church. The Patriarch of the Antiochian Orthodox Church resides in Damascus, Syria. The church dates back to the first century A.D. and is the very one mentioned in Acts 11:26. With the destruction of Antioch in the fourteenth century, the Patriarchical headquarters was moved to Damascus, the capital of Syria, where it is today. There are an estimated 350,000 faithful of the Antiochian Orthodox Christian Archdiocese of North America with five hierarchs and 400 priests and deacons throughout the United States and Canada. The Patriarchate of Antioch is one of the fifteen self-governing churches that constitute the Eastern Orthodox communion of churches. The other canonical groups include Constantinople, Alexandria, Jerusalem, Russia, Georgia, Serbia, Romania, Bulgaria, Cyprus, Greece, Albania, Poland, Czech & Slovakia and the Orthodox Church in America. with the ordination of Father Gregory Mathewes-Green. 105 Camp Meade Road in Linthicum, MD. Exit 6B is the first exit EAST of the I-295 (Baltimore-Washington Parkway) & I-695 intersection. located at Camp Meade Road & Maple Drive in Linthicum, MD. Divine Liturgy is held at 9:30 Sunday morning. St. Nicholas Orthodox Cathedral in Washington, D.C.
Russian Orthodox Cathedral of St. John the Baptist in Washington, D.C. 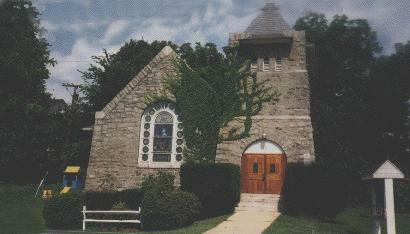 The MIT Orthodox Christian Fellowship in Cambridge, MA. Holy Transfiguration Monastery in Brookline, MA.